Since the early 1990s, keyboard player Jessica Lauren has been a familiar part of London’s alternative music scene. Jessica’s keyboard skills have augmented the live performances and studio recordings of world renowned artists such as Jean Carne, Tom Browne, Dexter Wansel and James Mason, Japan’s United Future Organisation, and UK soul diva Juliet Roberts. 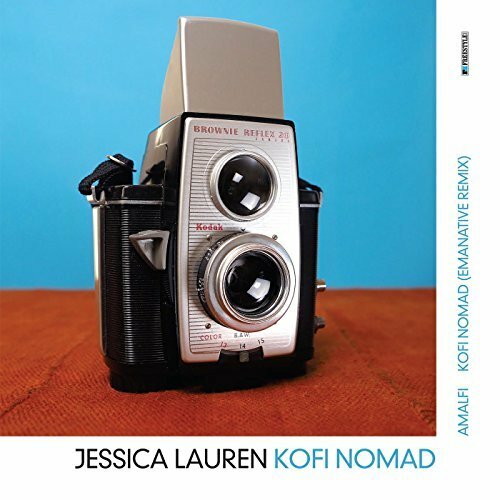 Her previous Freestyle album ‘Jessica Lauren Four’ (2012) highlighted Jessica’s minimalist approach, something rare and refreshing in the jazz world: she instills her compositions and playing with a refined sense of space which makes her music as much about what she doesn’t play as what she does. Kofi Nomad is a deeply percussive afrocentric epic track, featuring the beautiful baritone playing of Tamar Osborn (Collocutor), one of the most in demand woodwind players working today, underpinned by a powerful foundation of percussion courtesy of Richard Ọlátúndé Baker, Phillip Harper and drummer Cosimo Keita Cadore. Amalfi in contrast is a light, breezy bossa, which conjures up images of easy living days and sun dappled Mediterranean coastlines. This three track release not only gives more than just a tantalising hint of the soundscapes contained within the forthcoming long player Almería – it also features a brand new & exclusive remix of Kofi Nomad by Jessica’s long standing collaborator Emanative (Nick Woodmansey).